Cooking an entire turkey is an ordeal. This year for Thanksgiving, we decided to have our butcher break down the bird so we could cook each part individually in the Anova Sous Vide Precision Cooker. It made for perfectly cooked, moist meat, and crispy skin. We suggest you do the same for the Holidays! 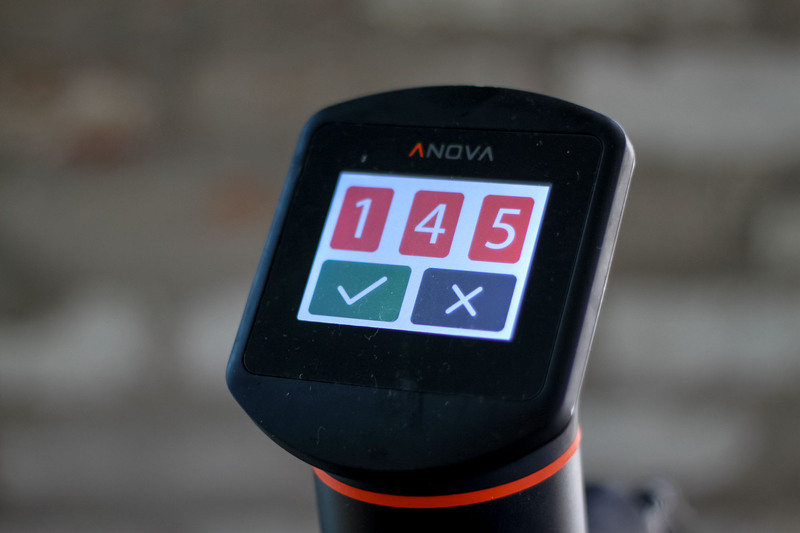 Set the Anova Sous Vide Precision Cooker to 145°F (62°C). Season the turkey breast with the garlic salt and pepper and place in a large zipper lock or vacuum seal bag with the olive oil. Seal the bag using the water immersion technique or a vacuum sealer on the moist setting. Place in the water bath and set the timer for 3 hours. When the timer goes off, remove the bag from the water bath. Remove the turkey breast from the bag and pat dry with paper towels. Heat a cast iron skillet or broiler for 5 minutes on high heat. Add the turkey breast and sear, skin side down, until golden brown, about 5 minutes total. Let rest for 10 minutes before slicing and serving.